* Please note, this closure will also affect investors in the Scottish Equitable CAERUS Monthly Income (ex-CAERUS Global Balanced) fund, which 100% invests in the CAERUS Monthly Income fund. Once these funds close, we’ll move investors in these funds into the alternative funds listed in the tables below, unless they tell us to move their investment elsewhere before then. We’ll be writing to all those affected by these changes in advance to let them know about the closures. We constantly monitor and refine our fund ranges. The funds haven’t grown in size as we’d expected, which means they’re too small to be economically viable. As a result, we’ve decided to close them. Investors can stay invested and continue to pay in any regular contributions as normal until the funds close. Then, on 23 May 2019, we’ll automatically switch their existing investment in the funds, and all future contributions, into the alternative funds listed in the tables below, free of any switch charges. We’ve selected the alternative funds because we believe them to be the most comparable funds within our fund range in terms of what they aim to do and where they invest. The fund aims to provide a combination of income and capital growth over the medium-to-long term (three to five years), within a low risk and low volatility framework, by investing in a diversified portfolio of assets. This portfolio may include, but isn’t limited to, equities (shares), fixed interest, collective investment schemes, property and money market instruments. The fund may have some exposure to overseas equities, although the core focus will be on the UK market. This portfolio aims to provide long-term capital growth while keeping risk in a target volatility range of 6-8% over a market cycle, which the fund manager defines as being three years or more. We’ve engaged Morningstar to help us select and manage the blend of funds it contains. The portfolio is built using our Select Sector Portfolios. Each of the Select Sector Portfolios is made up of what we and Morningstar believe to be the best blend of funds in their respective sectors. The Cautious Select Portfolio invests mainly in less risky assets like cash, government bonds (gilts), corporate bonds and property. It also invests to a lesser extent (around 30%) in riskier equities (shares in companies). This is the least risky of the Select Risk Profile Portfolios, so it may not return as much as other funds in the range over the longer term. This fund aims to provide capital growth over the medium to long term (three to five years) by investing in a diversified global portfolio. The fund may invest in UK and overseas equities (shares), fixed interest, property, collective investment schemes, money market instruments, deposits and warrants. The fund will use derivatives for investment purposes, and with the aim of reducing volatility in the fund. This portfolio aims to provide long-term capital growth while keeping risk in a target volatility range of 10-12% over a market cycle, which the manager defines as being three years or more. We’ve engaged Morningstar to help us select and manage the blend of funds it contains. The portfolio is built using our Select Sector Portfolios. Each of the Select Sector Portfolios is made up of what we and Morningstar believe to be the best blend of funds in their respective sectors. The Balanced Plus Select Portfolio invests around 60% in riskier assets such as equities (shares of companies), including some in emerging markets equities, and around 40% in a mix of less risky assets, like cash, bonds and property. This means it sits towards the lower end of the Select Risk Profile Portfolio range in terms of risk and long term growth potential. **This is on top of any product or adviser charge you pay and includes a fixed management fee plus expenses that vary with the day to day costs of running the fund. †This includes a standard 1% product charge, a fixed management fee and expenses that vary with the day to day costs of running the fund. You may pay a different product charge. ††We grade each fund in relation to its risk against all other funds in our insured range. The rating is not an industry standard and it has no relevance or relationship to the fund risk ratings of other fund providers. 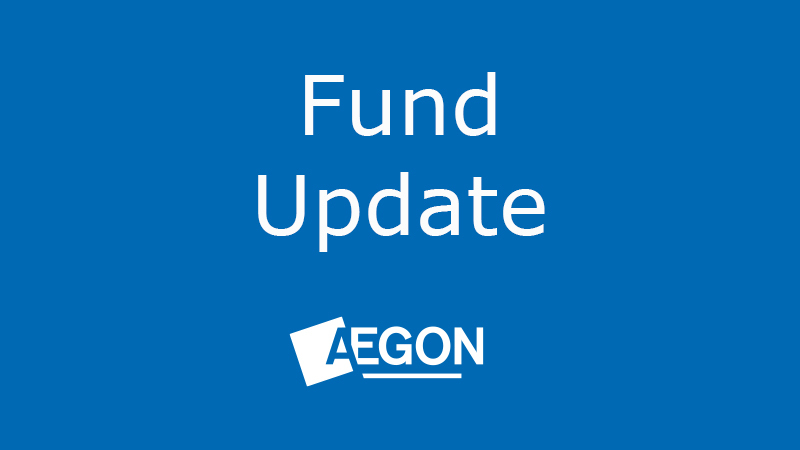 For more information on the alternative funds above you can view the fund factsheet via the ‘Fund prices and performance’ page and viewing ‘Other fund ranges’ for pensions and life investors or ‘Aegon Retirement Choices (ARC)’ for ARC investors. If current investors are happy for us to move their investments into the alternative funds listed above then they don’t need to do anything. However, if they feel these funds aren’t suitable for them, they can switch their investment and redirect any future investment, free of any switch charge, into an alternative fund or funds of their choice. If investors wish to do this, they should complete an alteration of fund choice form and return it to us before 23 May 2019. If you’d like more information, please speak to your financial adviser. If you don’t have a financial adviser, you can find one in your area at unbiased.co.uk.